A family ski holiday is something to be treasured: fun times spent all together, away from school and work. 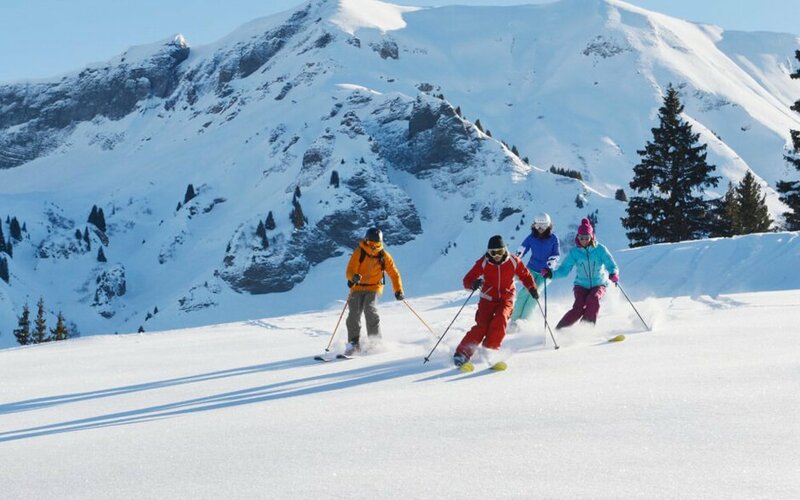 With fresh air, sunshine and awe-inspiring mountains in the background, skiing holidays offer precious time for siblings and parents to bond while learning a new activity together. When children are young, that could just be building snowmen and drinking hot chocolates, but take the right steps at the start and soon you will be enjoying the family ski holiday of your dreams. Learning how to ski together as a family, or progressing your children’s skills safely and trying to keep everyone happy can be a minefield, but it doesn’t need to be. 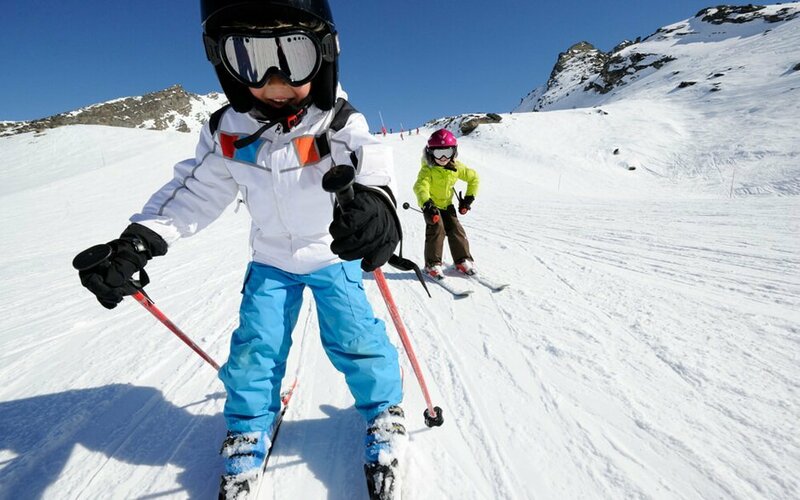 Our experts are on hand to help guide you through every aspect of booking a family ski holiday. 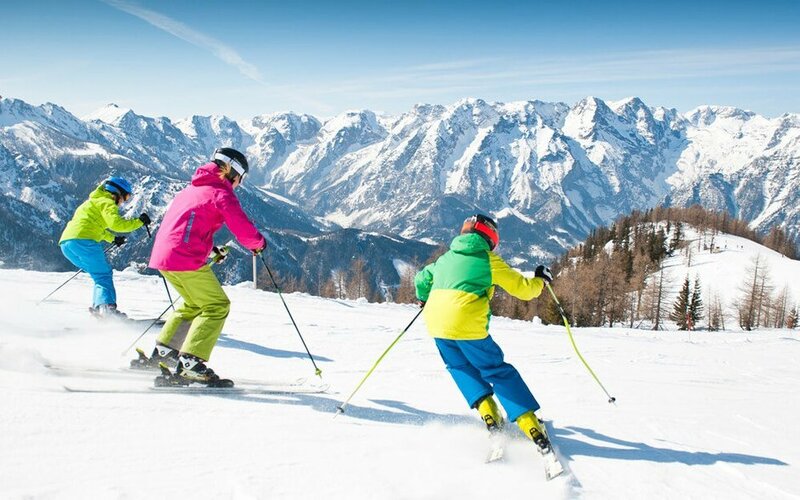 Here is our guide to booking ski lessons and ski guiding on a family ski holiday. Most ski schools won’t take children until they are three, so until then just enjoy short, fun sessions outside and treat your time away as less of a ski holiday and more of a family holiday in the snow. 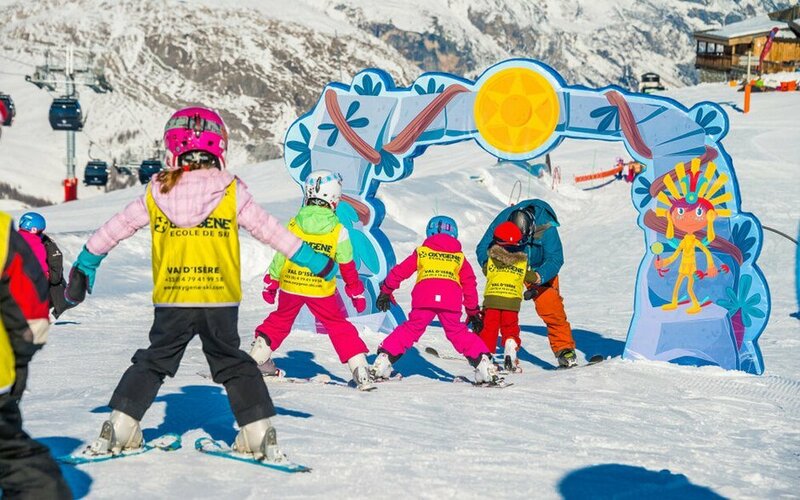 Once they’re old enough, enrolling your little ones into childcare with staff specialised in teaching young children to ski is invaluable. It doesn't need to be all day, you can mix it up with some family time in the afternoon; but get the basics (from snowploughs to riding drag lifts and chairlifts) taught by a professional. It’s always a good idea to stay and watch the first session to make sure you and your child are happy. Group learning is great fun and, at this age, children will thrive learning to ski or snowboard with their peers. If you choose one of the top family ski resorts, there will also be fantastic facilities to help them progress and have fun together, from moving carpet lifts to snow parks to mini snow-cross / boarder-cross courses. Our experts can ensure your children will be booked into lessons with experienced instructors and other children of a similar age and ability, but it’s important to listen to your children’s feedback at the end of the day. 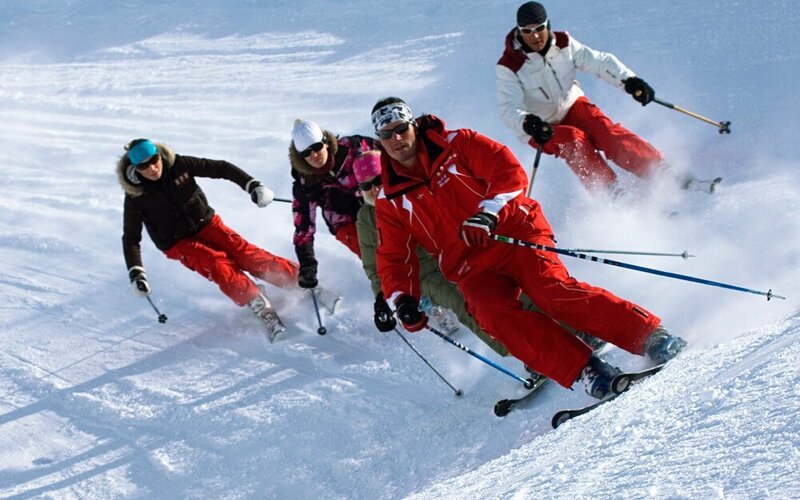 Family ski holidays are a real treat and everyone must be happy and enjoy it so they want to return time and again. 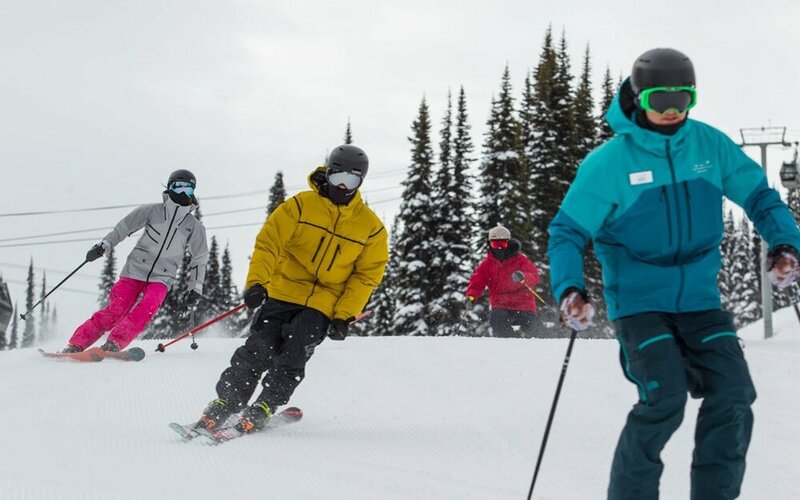 Ski and snowboard schools offer a great variety of lessons for teenagers, whether it is their first time on skis or they want to learn freestyle tricks in the park. Our experts can help organise lessons with the best instructors who know how to keep teens interested in learning while ensuring safety on the slopes. This can range from how to safely use a snow park or even simple tips like checking behind them before launching down a piste. Group lessons are great fun, children make new friends, enjoy learning together and will thrive in an environment they enjoy. Ski schools offer a huge amount of flexibility, with group lessons available for half or whole days for varying durations of up to a week (or more). Half day lessons are particularly good for children because it gives them long enough concentration time and it means you can enjoy family skiing time too. When booking, ask about group sizes (six is preferable, no more than ten) and try to ensure your children are in a group of skiers of a similar age and experience. Private ski lessons offer close, consistent attention and are perfect for anyone of any age and ability. If a child or adult is struggling with confidence, having difficulty grasping a certain skill or simply need a ‘refresher’ after a few years out, private lessons are a fantastic option. These don’t have to be one-on-one; private ski lessons can be for siblings or any friends that children may have brought along on holiday. You can hire an instructor to give your whole family a private lesson, or perhaps for some father-and-son bonding to try snowboarding for a few hours. To get the best out of a private lesson, be crystal clear with the instructor on the aims for your family or your child at the start. Because of the close attention you receive, private lessons can often represent better value for money than a group ski lesson, but it is advisable to book a minimum of two hours. Some of the most family-friendly ski resorts in Europe and around the world often have fantastic, uncrowded off-piste skiing. 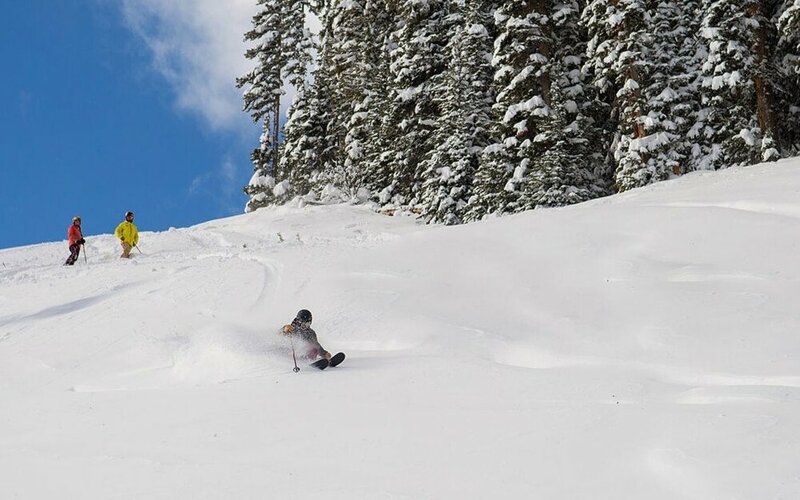 Families flock to these resorts for gentle pistes and efficient lifts, not for the wonderful, untracked powder you can find surprisingly close to the slopes. 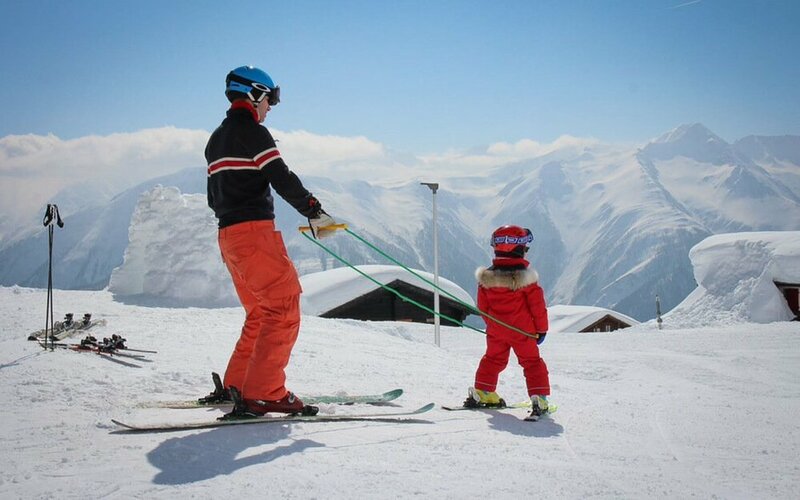 It’s important to never ski off-piste without a qualified instructor or mountain guide and the right time to start taking your children skiing off-piste depends more on ability than age, especially if you intend to ski as a family. Most mountain guides would encourage older teenagers to gain appreciation of off-piste hazards as soon as possible. 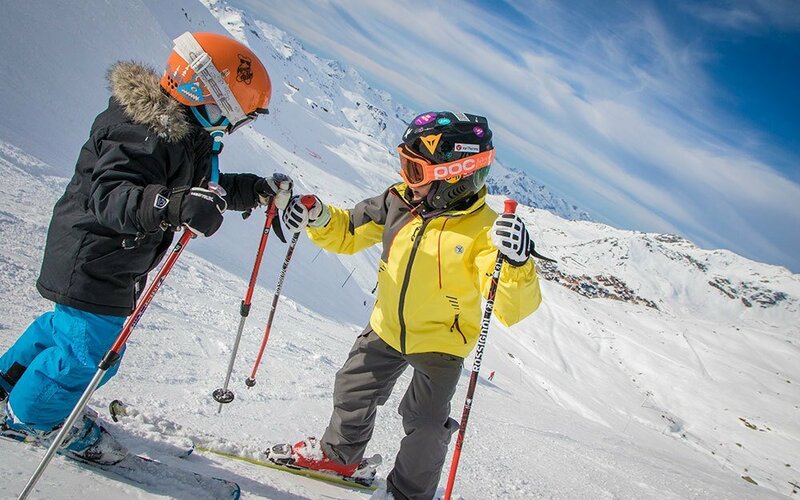 We can help you find a reputable and qualified mountain guide in resort, who will supply and teach your children and family how to use off-piste safety equipment (avalanche transceiver, shovel, probe) as well as how to ski these areas responsibly and safely. 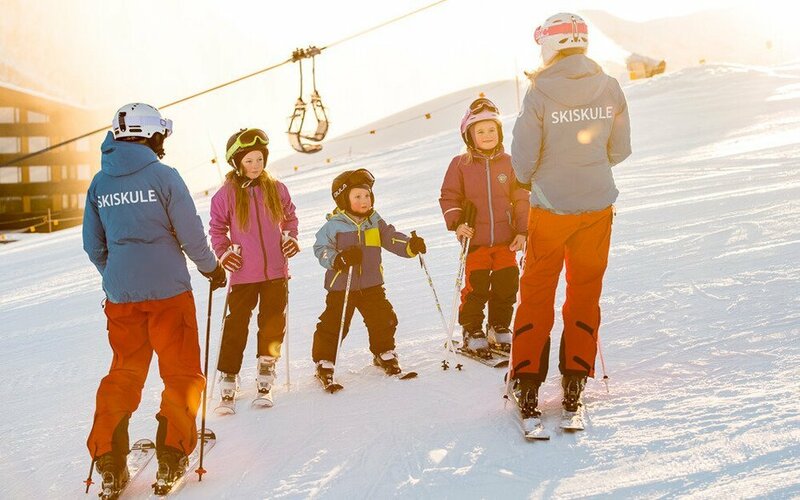 Booking ski lessons and ski guiding can seem daunting, but we are here to help you navigate through that and help shape the perfect family ski holiday. Just ask our experts. 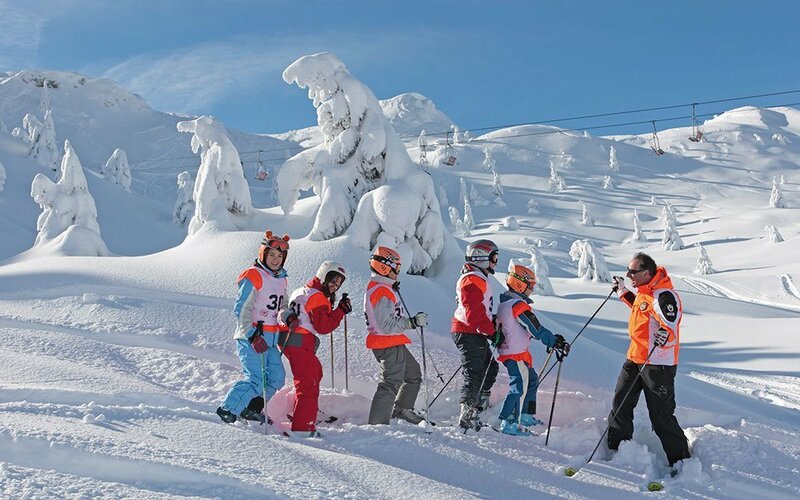 Our team of ski experts can help to advise you on the best resorts for your family’s lesson needs, and once you’ve booked our Client Services team will help to you secure the best instructors and guides for your trip.